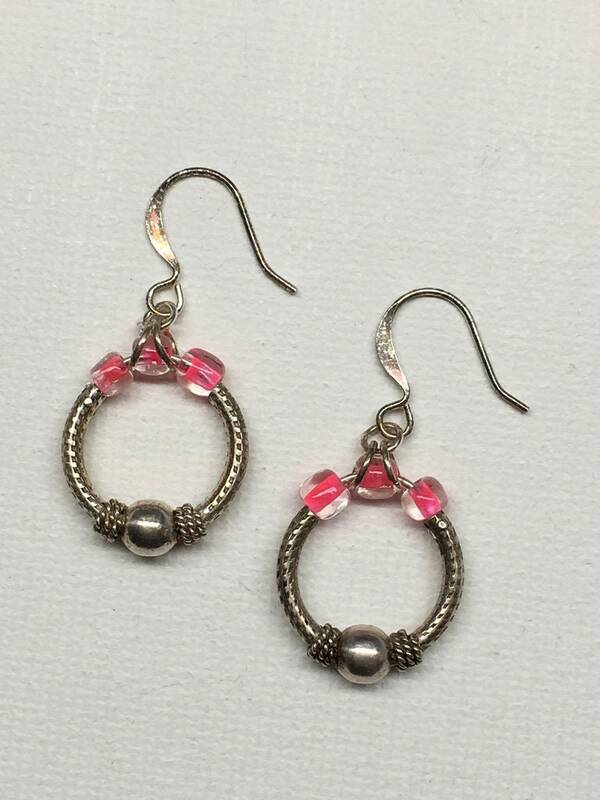 These small hoops have been upcycled from a part of a pair of vintage earrings. 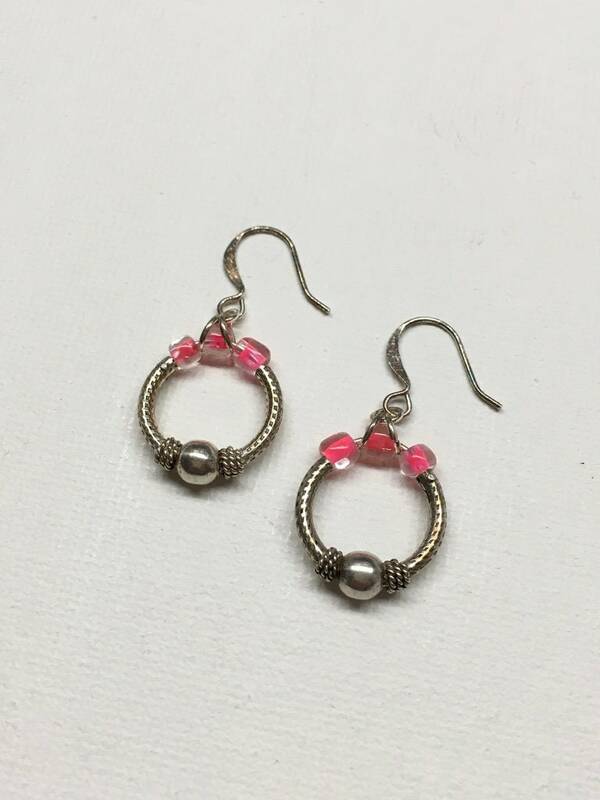 They have an old silver patina which makes a beautiful contrast with the pink neon beads that finish these small and cute earrings. 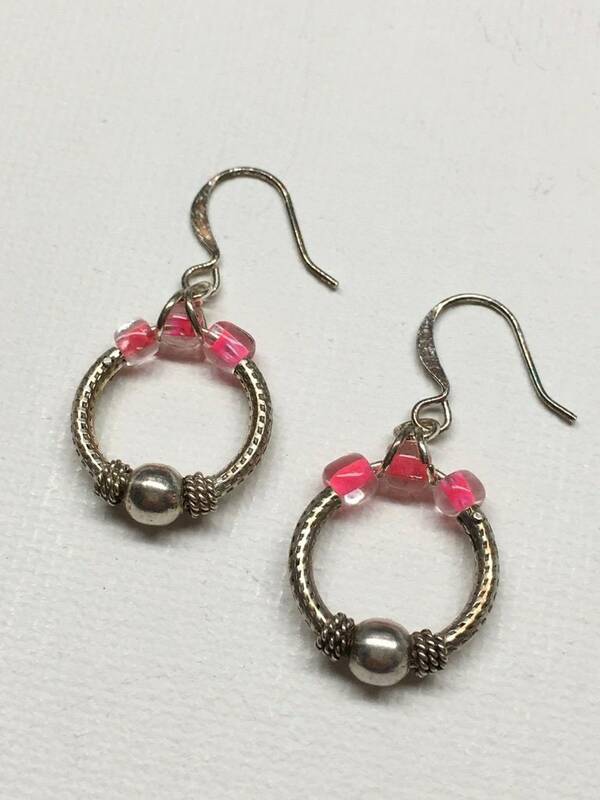 They are light weight, and easy to wear in any occasion.